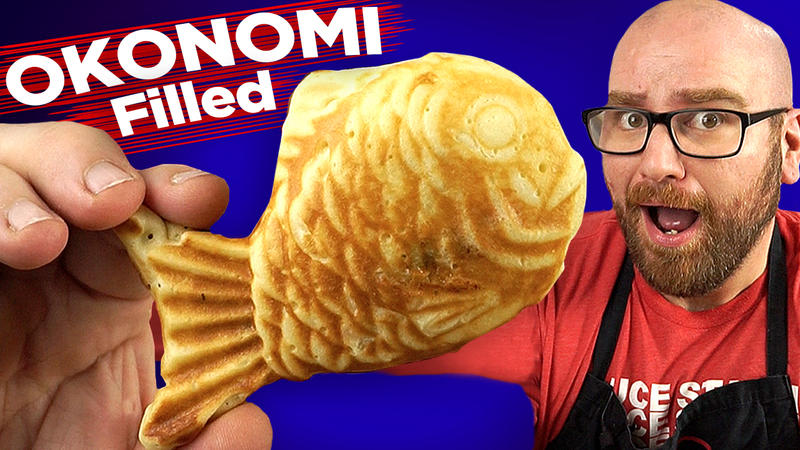 While researching Taiyaki recipes I came across video of a street food vendor making an Okonomi Taiyaki recipe and I knew I had to make it! I LOVE testing Japanese street food concepts and this on seemed like it had to be good! cover with more batter and close.